Battlefield Director: "We Strongly Want To Get Into Linux"
It would only take one "killer" game for the Linux platform to explode its way into mainstream gaming, says DICE creative director. Linux, the Unix-based operating system, has been slowly gathering gaming support over the years. Its open-source nature and light-weightedness makes it a very attractive alternative to Windows, yet it just hasn't really "taken off" yet. DICE director Lars Gustavsson says that it would only take one "killer app" to make the platform explode into mainstream gaming, and the Battlefield 4 developer is very seriously considering adopting the platform. "It took Halo for the first Xbox to kick off and go crazy - usually, it takes one killer app or game and then people are more than willing [to adopt it] - it is not hard to get your hands on Linux, for example, it only takes one game that motivates you to go there,"
Gustavsson sees Valve's SteamOS, a Linux-based gaming operating system, as "healthy competition", as he believes that Valve's foray into the living room will open up the market to explore new, and perhaps better, ways of consuming games. 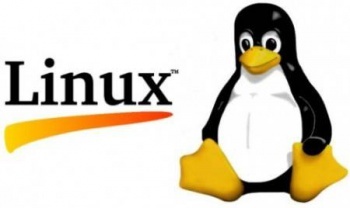 "We strongly want to get into Linux for a reason," Gustavsson said. Could we possibly be looking at a Linux port of Battlefield 4? He told us that the studio actually already utilizes Linux to run its dedicated servers because it is a "superior operating system to do so." So what do you guys think? What "killer app?" would make you turn to Linux? Personally, if Titanfall was a Linux-exclusive on PC, I would install the OS in a heartbeat (though Microsoft's exclusivity deal means that will never happen).